Every year parts of the Carmel River and most of its tributaries go dry because of excessive pumping of water to meet the needs of humans. When this happens fish stranded in these drying reaches will die without intervention by caring people. Every year CRSA members along with many other volunteers, armed with Backpack Electroshockers, nets and aerated buckets, search the areas known to go dry and capture stranded fish. 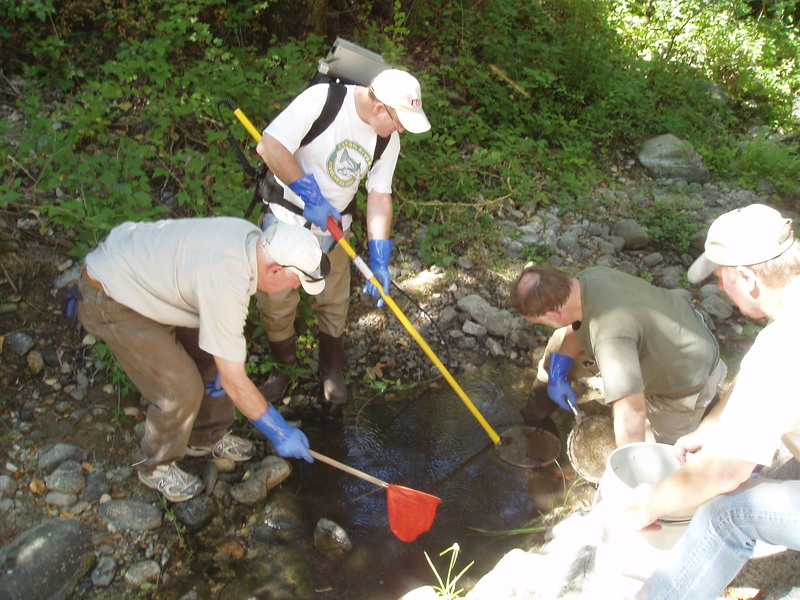 These fish are then relocated to areas in the mainstem Carmel River that will not go dry. 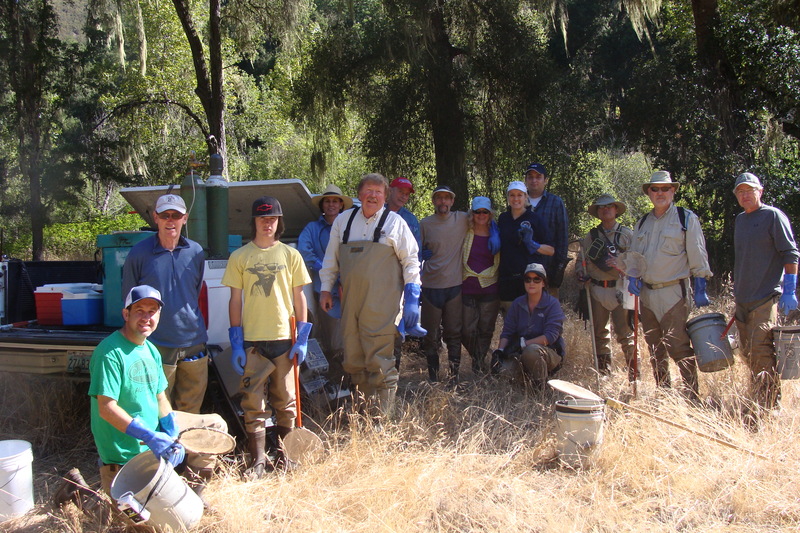 Without the efforts of CRSA volunteers, thousands of fish annually would die and cause an even further reduction in steelhead numbers or the possible extinction of steelhead in the Carmel River. 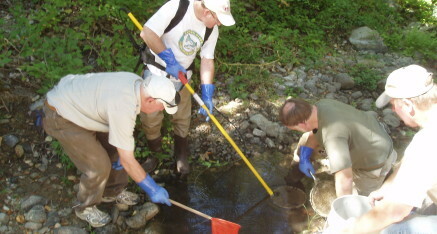 You could be a part of this program to preserve our native run of fish. 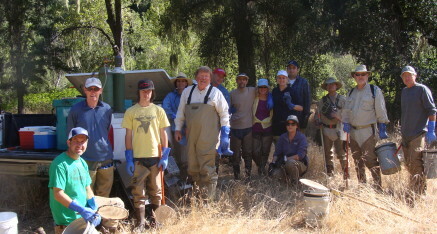 Carmel River Steelhead Association relies on volunteers for fish rescues and other projects. We appreciate your help!